On of our representatives this month is a car that V8-crazed young Aussies couldn’t wait to drive off used car lots during the 1970s and ’80s. 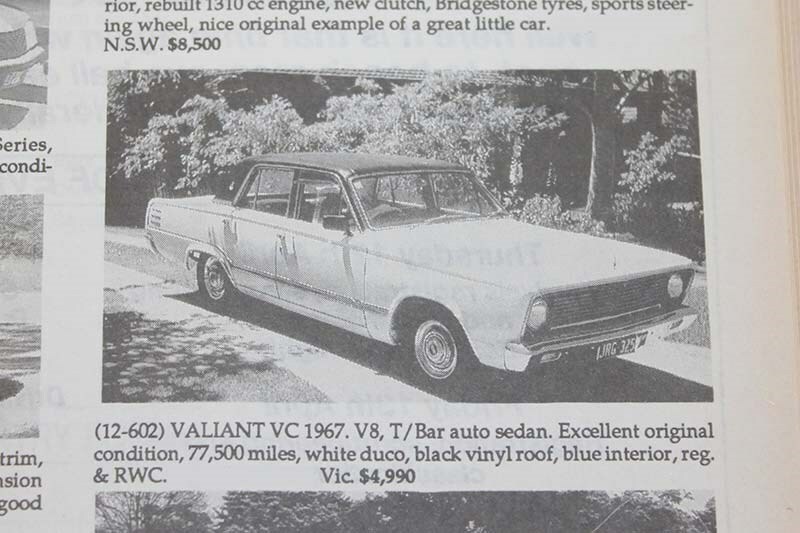 V8-engined VCs and the later VIPs were affordable for younger buyers to get some grunt under their foot – cheaper to buy and insure than a Monaro or even a Fairlane yet they looked the business, would cruise all day at 130km/h (where legal) and were almost unbreakable. By 1990 survivors were scarce and $4990 was close to maximum money. Had you bought this though the rewards would be significant. With muscle cars top of mind for many readers, here’s a car that won’t appear very often in the ‘For Sale’ listings. Almost certainly it will never again be offered in the region of $50,000 either. 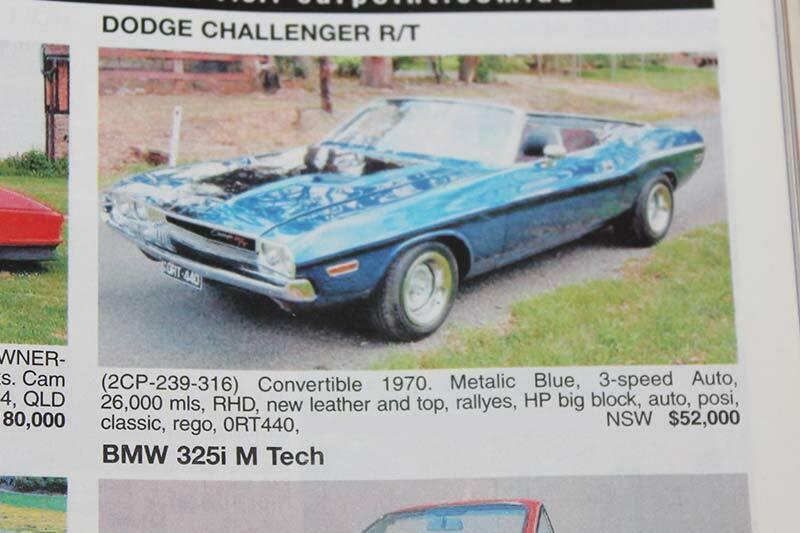 The Challenger R/T convertible was scarce when new with only 3880 sold. Just 163 of those were built originally with the hefty 7.2-litre engine and today you need to look hard to find any 440-engined R/T that isn’t a ‘tribute’. If this car was the real deal and remains here, consider US$80-90,000 as a starting point. 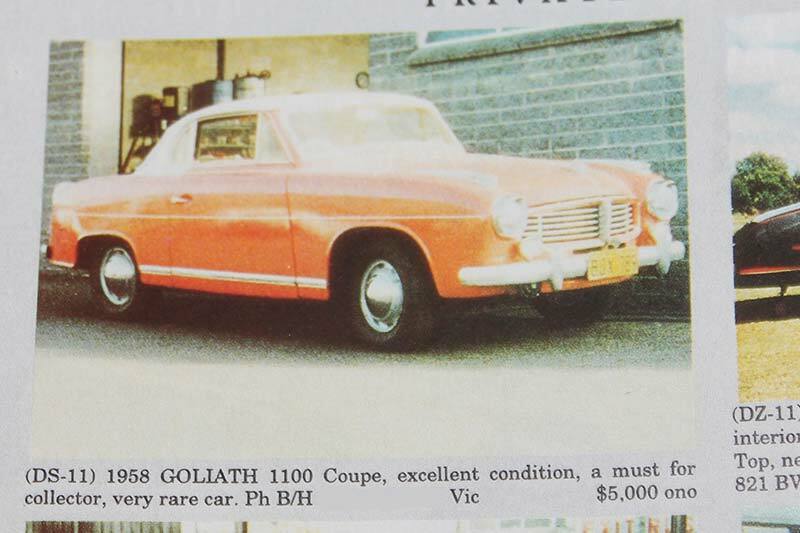 Considering the damage its motor industry suffered during WW2, Germany did an amazing job of recovering and then building strong export markets with fine cars like the Goliath. The brand appeared in 1931 and came from the same stable as Carl Borgward’s line of high-quality vehicles. Reader's 'One That Got Away"
I found a mint XU1 a few years ago in perfect orignal condition. Instead of handing over the $35,000 asking price I went home to think about it. When I rang to say ‘yes’ the following day, it was gone.